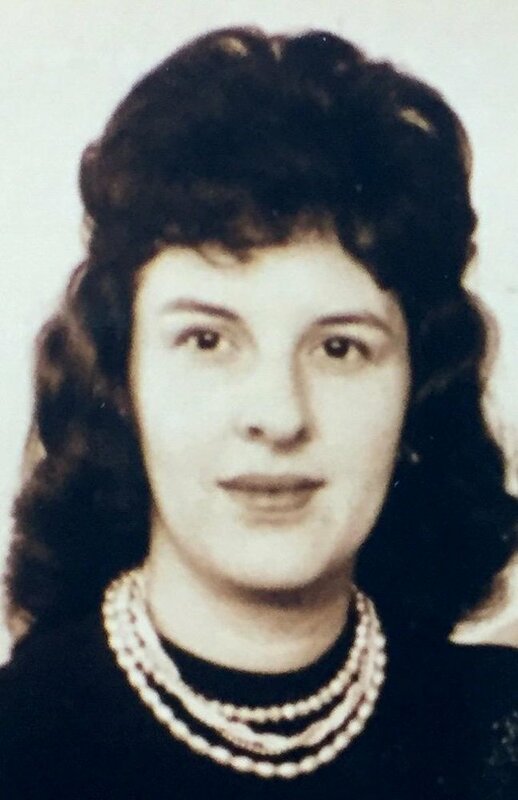 Nancy J. Wojewoda, born June 6, 1933, in DuBois, PA reached out and took the hand of Jesus and was reunited with the love of her life of 60 years, August 18, 2018 at Niagara Hospice House, surrounded by her loving family. The eldest daughter of Harry and Elizabeth (nee Margevich) Cribbs. Nancy grew up in North Tonawanda, NY. She met the love of her life, Robert B. Wojewoda in High School, and in 1952 they wed. Working by Bob’s side, Nancy was a loving wife and wonderful mother who helped build the family home and raise nine children complete with yearly family camping trips to the Adirondacks. As the wife of a New York State Trooper, Nancy was a full time Starpoint Central School Bus driver for 17 years, original member of the Runway Runners Snowmobile Club of Pendleton and a member of Good Shepherd RC Church. Nancy’s greatest Joy was caring and providing for her family and she will be greatly missed. Nancy was predeceased by her husband Robert on April 1, 2013. Mother of Robert B. (Carla) Wojewoda of Lockport, Daniel (Michelle) Wojewoda of Barker, John (Lisa) Wojewoda of Niagara Falls, James (Daisy) Wojewoda of Weare, NH, Nancy (Paul) Cuddihy of Ballston Spa, NY, Susan Wojewoda of Lockport, Christine (nee Wojewoda) Voit of Lockport and the late Linda Wojewoda-Nye and David Wojewoda; grandmother of 22 and great grandmother of 11. Sister of Elizabeth (nee Cribbs) LeBar and the late Harry Cribbs Jr. , Vivian Lapp, Yvonne Babcock, Marion Corraine and Thomas J. Cribbs. She is also survived by many nieces and nephews. Friends may call on Tuesday August 21st 5-8 PM in Prudden and Kandt Funeral Home, 242 Genesee Street, Lockport. A Mass of Christian Burial will be celebrated on Wednesday August 22nd at 10 AM in Good Shepherd RC Parish, 5442 Tonawanda Creek Rd, North Tonawanda, NY 14120. In Lieu of flowers, memorials can be made to Niagara Hospice.